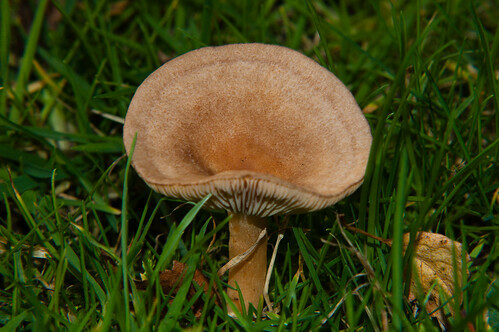 Lactarius mammosus is another mushroom without a common English name. The title here is a rough translation of its German name: Dunkler Duftmilchling. It is a milkcap, one of a group of species which exudes a fluid which can look like milk if it is damaged. This species also smells of coconut.